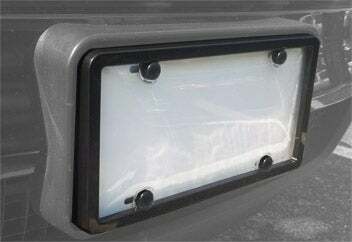 Protect your license plate from the elements! This kit includes an Ultra-Strong Polycarbonate clear Bubble Shield with a superior fitting black Powder Coated Frame. Includes anti-theft locking fasteners (metric and standard). Includes 4 black fastener caps. UV stabilizer to prevent discoloration.